Since 9/11, Pakistan has loomed large in the geopolitical imagination of the West. A key ally in the global war on terror, it is also the country in which Osama bin Laden was finally found and killed-and the one that has borne the brunt of much of the ongoing conflict\u2019s collateral damage. Despite its prominence on the front lines and on the front pages, Pakistan has been depicted by Western observers simplistically in terms of its corruption, its fundamentalist Islamic beliefs, and its propensity for violence. 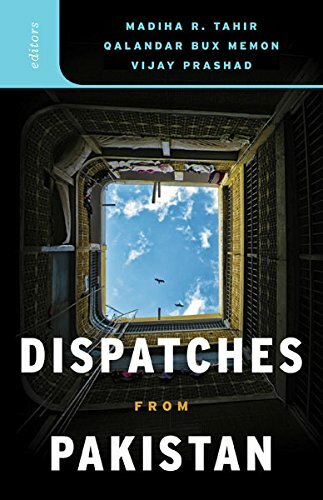 Dispatches from Pakistan, in contrast, reveals the complexities, the challenges, and the joys of daily life in the country, from the poetry of Gilgit to the graffiti of Gwadar, from an army barrack in Punjab to the urban politics of Karachi. This timely book brings together journalists, activists, academics, and artists to provide a rich, in-depth, and intriguing portrait of contemporary Pakistani society. Straddling a variety of boundaries-geographic, linguistic, and narrative-Dispatches from Pakistan is a vital attempt to speak for the multitude of Pakistanis who, in the face of seemingly unimaginable hardships, from drone strikes to crushing poverty, remain defiantly optimistic about their future. 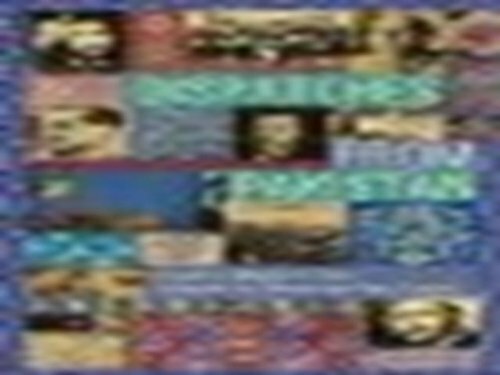 While engaging in conversations on issues that make the headlines in the West, the contributors also introduce less familiar dimensions of Pakistani life, highlighting the voices of urban poets, rural laborers, industrial workers, and religious-feminist activists-and recovering Pakistani society\u2019s inquilabi (revolutionary) undercurrents and its hopeful overtones. Contributors: Mahvish Ahmad; Nosheen Ali, U of California, Berkeley; Shafqat Hussain, Trinity College; Humeira Iqtidar, King\u2019s College London; Amina Jamal, Ryerson U; Hafeez Jamali, U of Texas at Austin; Iqbak Khattak; Zahra Malkani; Raza Mir; Hammad Nasar; Junaid Rana, U of Illinois at Urbana-Champaign; Maliha Safri, Drew U; Aasim Sajjad Akhtar, Lahore U of Management Sciences; Ayesha Siddiqa; Sultan-i-Rome, Government Jahanzeb Postgraduate College, Swat, Pakistan; Saadia Toor, Staten Island College. Madiha R. Tahir is an independent journalist based in Pakistan. Her work has appeared in Foreign Affairs, the National, Columbia Journalism Review, Wall Street Journal, Herald (Pakistan), and Friday Times. Qalandar Bux Memon is the editor of Naked Punch, a philosophy, art, and politics platform. He is assistant professor in politic science at Forman Christian University, Lahore. Vijay Prashad is George and Martha Kellner Chair in South Asian History and professor of international studies at Trinity College, Hartford, Connecticut. He has authored and edited numerous books including The Darker Nations: A People's History of the Third World; The Karma of Brown Folk (Minnesota, 1999); and Dispatches from the Arab Spring (Minnesota, 2013).